Bakersville is a small mountain town (population less than 500) that sits at an elevation of 2460 feet. 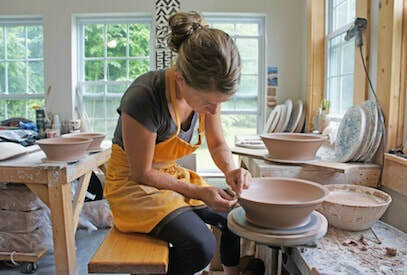 We are home to a thriving arts community that includes several world-class galleries and hundreds of artists. We offer abundant outdoor recreation, a temperate climate, an enjoyable and relaxed lifestyle, and friendly people. Located in Mitchell County, on NC Highway 226, Bakersville is approximately a 1 hour drive from Asheville, Boone, or Johnson City, TN. 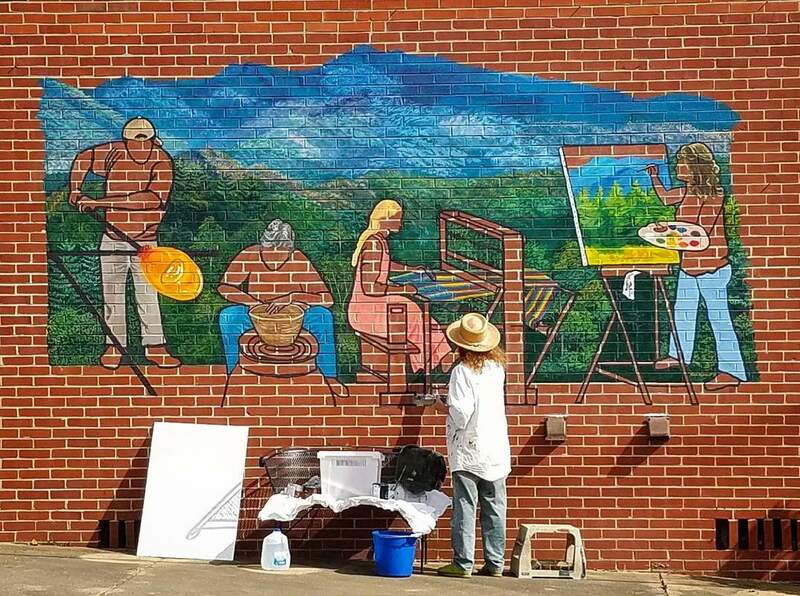 Bakersville is home to four amazing art galleries, is a neighbor to the internationally renowned Penland School of Crafts, and is home to more artists per capita than almost anywhere in the country, making it a fantastic destination for art lovers! At Gouge School - games, prizes, face painting, and refreshments! Please click on the link below to see our community calendar. Like hiking? Bakersville is the Gateway to Roan Mountain and its section of the Appalachian Trail, with its absolutely stunning views. The nearby Blue Ridge Parkway offers access to dozens of scenic overlooks, trails, and waterfalls. Like fishing? Bakersville is a Mountain Heritage Trout City! Like relaxing on the water? Try tubing or kayaking on the Toe River! Interested in natural history, flora, or minerals? Visit the incomparable Rhododendron Gardens and grassy balds on Roan Mountain or visit a working gem mine!